PRICED TO SELL!! BELOW MARKET!! 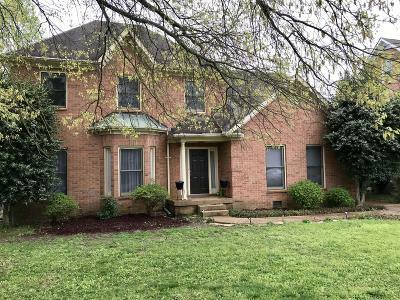 Beautiful ALL brick 4 bed 3.5 bath home in desirable community. Sitting on a private lot, spacious backyard, beautiful trees & soothing creek. wood burning fireplace, Fresh paint, Jack-n-Jill Bath upstairs, Bonus room, large Master down w/whirlpool Jacuzzi tub, his/her closets, community pool, sidewalks, & low HOA dues! Walking distance to parks, elementary school & close to I-65 & shopping! Just 20 miles to Nashville!! Home is not in flood zone.